Japan looks forward to envoy its public representatives to the Kuril Islands in a hope to establish new economic cooperation between Moscow and Tokyo as Japanese authorities believe that this step might pave the ultimate way toward signing the bilateral peace treaty. MOSCOW (Sputnik) — Tokyo will send a joint team of public and private sector representatives to the Kuril Islands to look into opportunities for the new Russia-Japan economic activities in the near future, Japanese Foreign Ministry’s Press Secretary Norio Maruyama told Sputnik on Tuesday. "We will send a joint team again to the Northern Island not so far away from now … There are five areas decided by both leaders so we need to go again to check it on the local basis what kind of new joint activities can be done. So, the private and public sectors both together will visit again the four islands to find out what way we can proceed at these five areas," Maryuama said on the sidelines of the UN General Assembly in New York on Tuesday. The spokesman noted that during Putin’s visit to Japan in 2016, the sides agreed that they need to develop a new approach in their relations in order to move forward and opted for a strategy on economic cooperation. "Prime Minister Abe visited Vladivostok and had a meeting with president Putin and they identified five areas for joint economic cooperation. We are going to concretize this project but at the same time we need to have some kind of understanding of how we can not abandon our legal position but how we can go directly to these important economic activities and in doing this we can apply step by step approach to the peace treaty," Maryuama said. The Japanese official underlined that the joint approach on the Northern Kuril Island might pave the way toward the bilateral peace treaty. "Our position is that without having solved the question of the belonging of the four islands we can never sign the peace treaty. So we can do something with this new approach for the Northern Island and we consider that this new approach might pave the way for the treaty," Maryuama added. 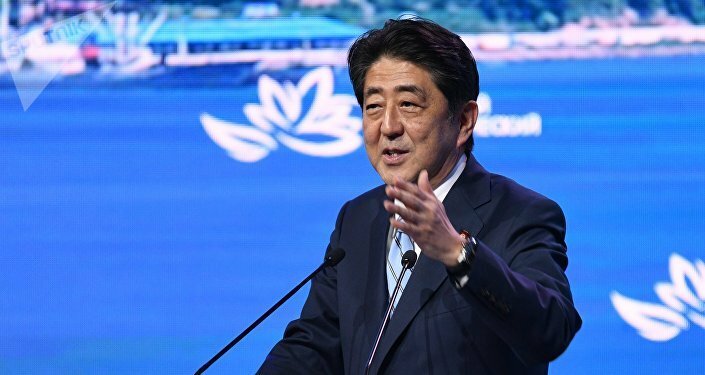 Earlier in September, Abe expressed hope that the strengthening of mutual trust in Japan-Russia relations will eventually result in the signing of the peace treaty between the two counties. The Japanese prime minister noted that the gradual implementation of the Russian-Japanese cooperation plan contributes to the increase of trust between Tokyo and Moscow, as demonstrated by joint projects in medicine and urban development. The decision to establish joint economic activities on the disputed islands, namely Iturup, Kunashir, Shikotan and Habomai, was reached during Russian President Vladimir Putin's visit to Japan in December 2016. In March, then-Japanese Foreign Minister Fumio Kishida handed over to Russian Foreign Minister Sergey Lavrov Tokyo's proposals on joint economic activities. The Kuril Islands are the subject of a long-standing territorial dispute between Russia and Japan. The latter lays claims to Kunashir, Iturup, Shikotan islands and the Habomai group of islets. The dispute has prevented Moscow and Tokyo from signing a peace treaty after World War II.